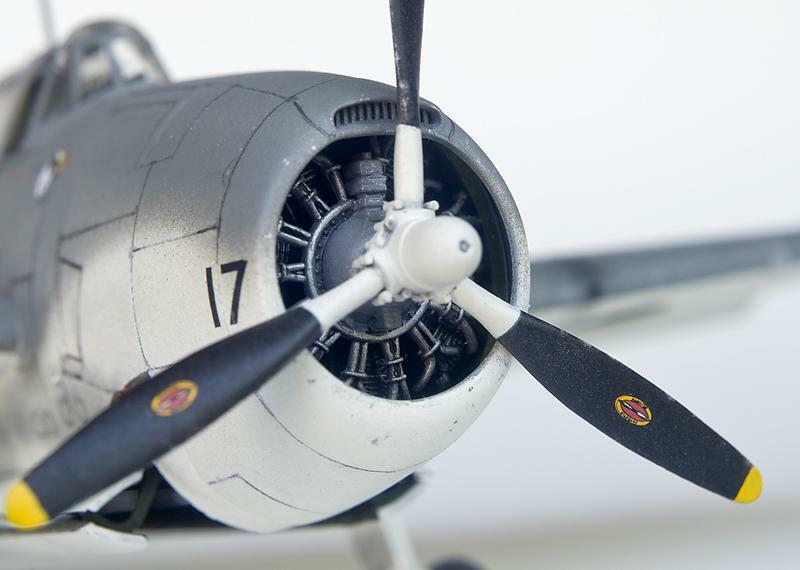 Accurate Miniatures’ Avengers, along with their SBD Dauntless and F3F series, are among the best 1/48 scale aircraft kits ever produced. Everything – from surface and interior detail to fit of the parts – is about as good as it gets in injected molded plastic. The fact that almost no aftermarket parts were made for these kits is a testament to how good they were out of the box. 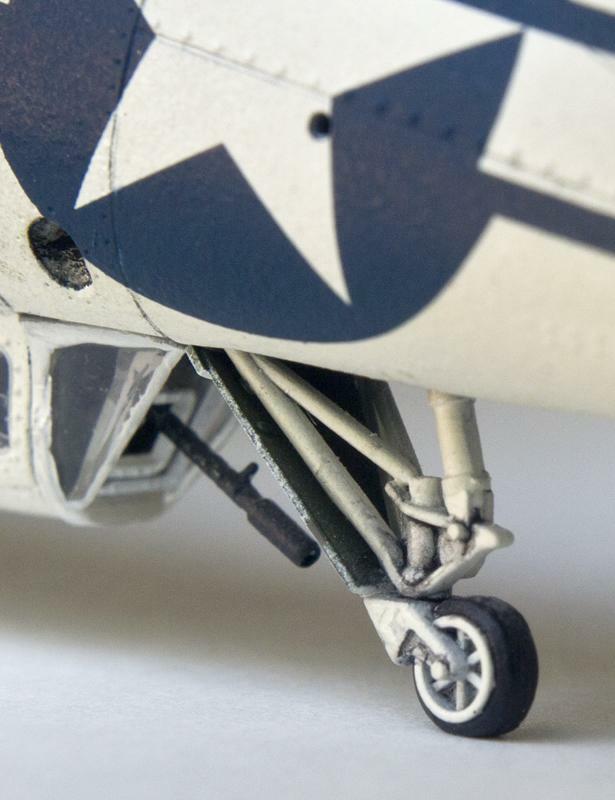 The only drawback to the Avenger kits were the instructions – the drawings were crudely done and hard to follow, but this was rectified in the SBD and F3F kits. Aside from some True Details photo-etched seatbelts and an antenna wire, this kit was an out-of-the-box build, including decals. I used no filler – just careful assembly and seam sanding resulted in a near-perfect fit of the main airframe parts. I did find that the lower dorsal gunner’s clear part didn’t fit very well, but that’s probably as much my fault as the kit’s. The rudder is a seperate piece, so I insalled it offset to the left for a more candid appearance. I armed my TBF with a standard anti-submarine load of two 500-lb. 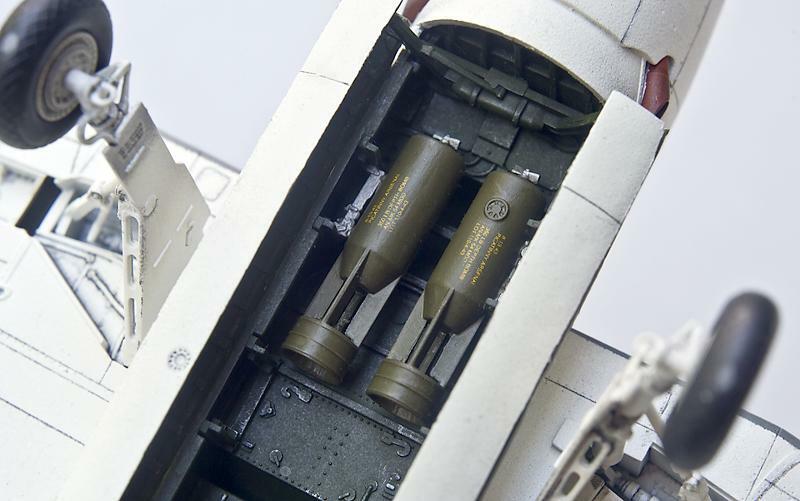 general purpose bombs and two aerial depth charges. I also cut out the flaps and dropped them. 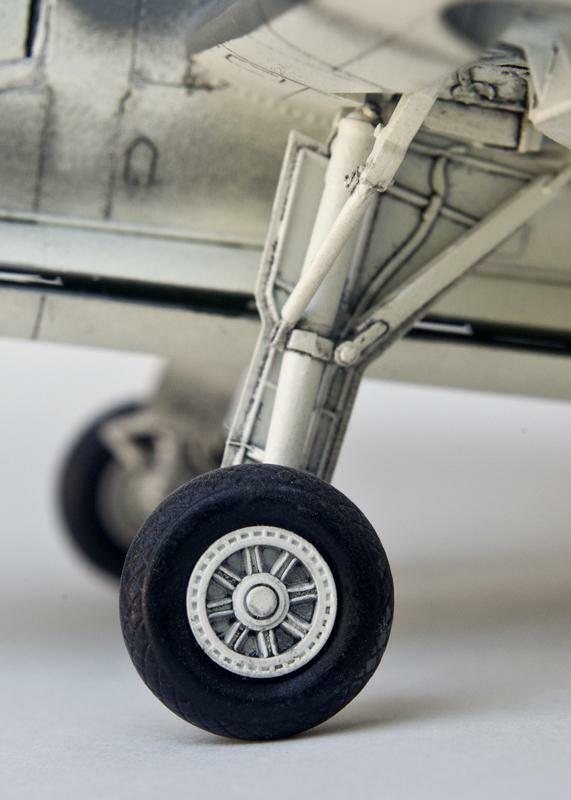 For the Atlantic anti-submarine paint scheme, I used Model Master Dark Gull Grey and Floquil Reefer White enamels. (I really hate that Floquil is now out of business – Reefer White was the BEST!) I used kit decals to depict a TBF-1C from VC-55, deployed aboard USS Block Island in the North Atlantic during the summer of 1944. Fine looking plane! I love the finish. What a great looking build! Thanks for sharing. Fantastic job, Drew. Just a treat for the eyes ! Very handsome Turkey. Looks well-dressed in that scheme. Outstanding build. I agree with your comments about this kit and all AM kits. They are great. When they say,”follow the directions” they mean it. Your model is far better than the one pictured on their box. What else is there to say, Drew, it’s fantastic. You’ve described the build, given us some history, and the photographs are excellent. You are indeed right about the Avenger, however, and you have done this one just perfectly. BTW – that tailgunner’s glass wasn’t your fault – it really doesn’t fit that well all on its own. One of my favorite kits and an excellent build to show for it! Nice to see an Atlantic scheme. Very nice workmanship, especially with this kit. I’m unfamiliar with the paint scheme but I like it! Great job. Outstanding build and finish ! There are two Avengers from Accurate and the Italeri release in my stash, your build is really tempting ! I can relate! I have three more Accurate Miniatures Avengers in my stash, along with three SBD kits!